(Newser) – Russian leader Vladimir Putin has warned that further airstrikes on Syria will lead to soured relations with the West or worse. 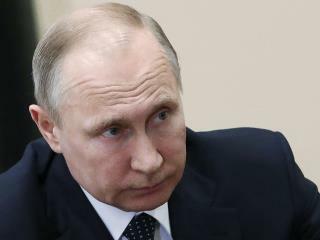 Per Reuters, Putin told Iran's President Hassan Rouhani that any such action "will inevitably lead to chaos in international relations," the Kremlin said in a statement that called the joint strike "a violation of the UN Charter." The two leaders agreed that the strikes are "adversely impacting prospects for political settlement in Syria," where a bloody conflict has raged for the last seven years. The US, France, and Britain on Saturday launched 105 missiles targeting purported chemical weapons facilities in Syria following a suspected gas attack in Douma on April 7. I thought that "Comrade Donnie" was going to stick it to Putin! Nikki Haley to the UN that Putin was going to get NEW SANCTIONS that would make him cry "UNCLE", "Comrade Donnie" backed down and lost his nerve! I wonder if Comrade Putin was watching Comrade Donnie's "GOLDEN SHOWERS VIDEO" with Comrade Donnie and the Rusky Prostitutes!